The wages of sin are death or so it is said (Romans 6:23). The wages of Socialism are…wait! what wages? 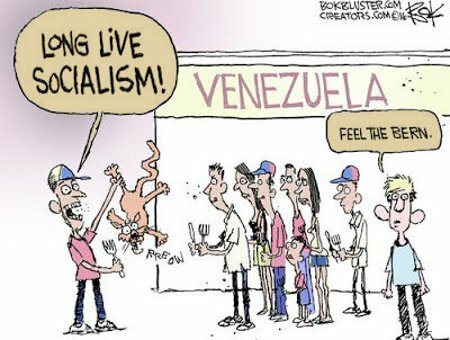 Yes, Venezuela’s attempt at Socialism has, not in the least unexpectedly, ended in total economic collapse and mass starvation and persistent, bloody societal upheaval. Argentina and Brazil are not far behind. This is obviously not something that Bernie Sanders wants to comment upon. Hillary Clinton wouldn’t wish to either since her agenda differs from Bernie’s only in the speed of its implementation and the race and gender specifics for that implementation. But none of the above means that socialism provides no benefits. There’s an upside to it. Heck! With manufacturing and production essentially defunct in Venezuela, moving into the service industries makes good sense for these women. It’d certainly bring in a much needed influx of foreign capital. Oh! And for those of you reading this who are already screaming in rage or are about to, you need to “check your privilege.” In all statistical likelihood, your from the Developed World; it’s even probable that your in America. Hence, not only are you one of the Global 1%, you’ve also never even seen real poverty beyond a few sanitized commercials for charities. 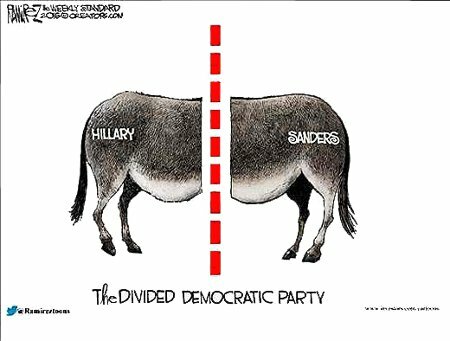 The Lamestream media may prefer, as good Praetorians are wont, to showcase the supposed division of the Republican party, but it is the Democrat party which is most truly divided. 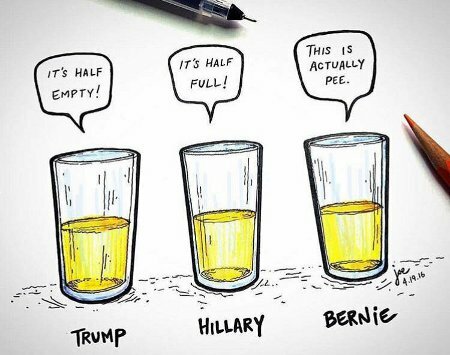 The war between Hillary Clinton and Bernie Sanders has divided that party most severely. Given that the two candidates in question are differentiated only by gender, this schism is amusing. At the risk, such at it us, of sounding like a person of my age of any given generation, the 2016 elections seem to be one of America’s true watershed moments. To me it seems that we as a nation and people are and have been treading water in the middle of the Rubicon and are finally at the point where me must choose to: cross back to our own lands, cross over into something else, or simply allow ourselves to sink and drown. And, more so than has been usually the case, the major political players are each stark, living banners of the political, moral, and philosophical outlooks of the various subsets of America’s electorate. Shall we make America great again by restoring and renewing it? Shall we further its transformation into something utterly unrecognizable? Or shall we drown, in this case in the effluvia of our own waste? And here we see a stupid thug forgetting to be careful about what one asks for lest you receive it in full measure. And….SPLAT! 😆 This is most definitely one of the most poetically funny videos I’ve ever seen. That is exactly how the immediate response by law enforcement to these thugs should be.